IT teams have plenty of data. What they lack is visibility and insight. Over the past several weeks, ExtraHop has introduced two new capabilities that help IT organizations extract more value out of the data that they already have. The first announcement introduced ExtraHop's Open Data Stream, which enable IT teams to stream their wire data to the non-proprietary datastores MongoDB and Elasticsearch for post-hoc multidimensional analysis of ExtraHop data and correlation with other data sets. This is an ideal solution for large IT shops that want to mash up data sets from various monitoring products in a non-proprietary data store. In doing so, they are making better use of the data that they already own. The second announcement featured our first-to-market, real-time HL7 analytics capabilities, enabling healthcare organizations to tap into the wealth of operational and clinical information on the wire. Previously, the information contained in HL7 messages was recorded in the form of server logs or in application databases. Pulling that information together for analysis required normalizing the data through tedious ETL processes so that clinical informatics teams and executives would only have reports days after the fact. If they wanted to look at the data in a way that the schema did not accommodate, they might have to wait weeks for an updated view. What the Is HL7? HL7 is the messaging standard for exchanging information between healthcare applications, similar to how EDI works, but specifically for healthcare. So when you get admitted to a clinic or emergency room, an HL7 message will be involved. In the same way, HL7 messages will convey what symptoms you are diagnosed with, what tests are ordered, when you occupy a hospital bed, what medication is prescribed, and when you are discharged. It's pervasive and represents a trove of operational and clinical information that has heretofore been locked in siloed systems or lost entirely. 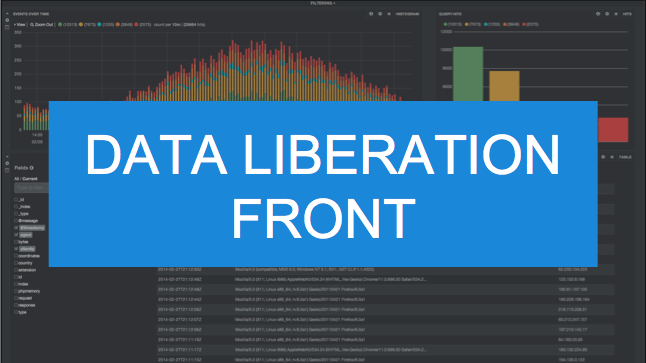 What the IT monitoring industry needs is a data liberation front. For our part, ExtraHop believes that IT organizations should be able to store, analyze, and visualize their data in any way they choose, without cost or integration restrictions imposed on them by vendors. If this sounds interesting, be sure to read our white paper: Designing and Building an Open IT Operations Analytics (ITOA) Architecture. 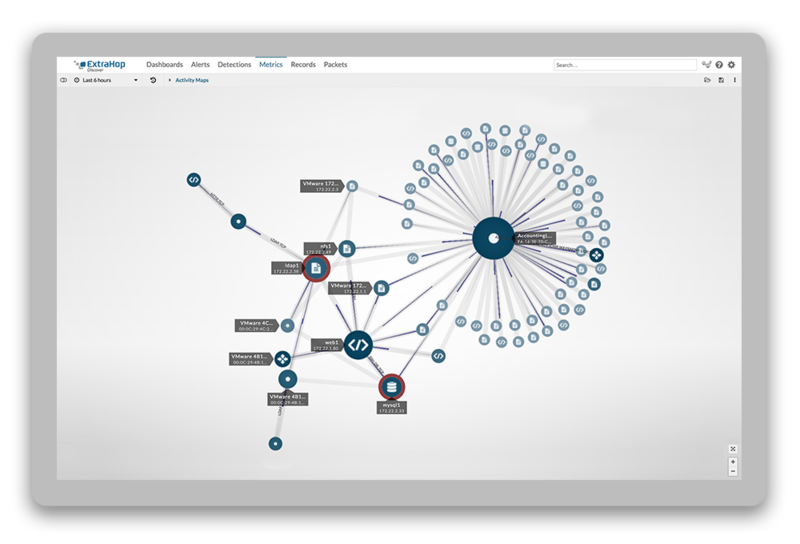 Instead of collating log data from different HL7 interface servers, the ExtraHop platform can extract, analyze, and visualize any data contained in an HL7 message in real-time, in the same way that it does for other Layer 7 protocols. The ExtraHop platform will analyze valuable wire data in real time so that healthcare teams can monitor not only the health and performance of their HL7 environment, but also clinical and operational details such as patient wait times and fraudulent orders for oxycontin. Put Open Data Stream and HL7 analysis together and you've empowered healthcare IT organizations to capitalize on their Big Data opportunity. IT teams can stream these valuable HL7 events and metrics, along with other wire data, to MongoDB or Elasticsearch. This way, healthcare organizations not only benefit from real-time wire data analysis in the ExtraHop platform, but can also reap multiplicative benefits from their wire data by mashing it up with other data datasets. Add in a visualization tool such as Tableau, Pentaho, or JSON Studio and the possibilities for ad hoc querying are amazing. At ExtraHop, we want to do the right thing by giving our customers the freedom to do whatever they want with their data. Vendors ought to be enabling their customers, not restricting them. ExtraHop is an open, flexible, and extensible platform that you can use to make the most of your wire data. Read more about the importance of an open approach to ITOA by downloading our Open ITOA white paper (no registration required), or take a look at what wire data analytics looks like with our interactive online demo (also available without registration).